Professor Xiao is an Doctorial Advisor, Associate Chief of the Second Xiangya Hospital of Central South University and Vice Director of Skin Institute, Central South University. Aside from posts in the university and the hospital, he is also a member of Aesthetic Division of Chinese Society of Aesthetic and Plastic Doctor, Medical Aesthetics and Cosmetology Division, Allergology Division and Genetic Group Committee of Dermatology and Venereology Division of Chinese Medical Association. Besides, He serves as Vice Chair of Professional Committee of Dermatology and Cosmetology Division of Hunan Medical Association. He has hosted 15 research projects both in China and abroad, which has been supported by Natural Science Foundation of China, Foundation of International Collaboration Key Project by Ministry of Science and Technology, P.R.C and Monbukagakusho Scholoarship, Japan, etc. He has published more than 100 research papers, among which 21 were included in core SCI-covered journals and 11 monographs as a chief editor or subeditor. 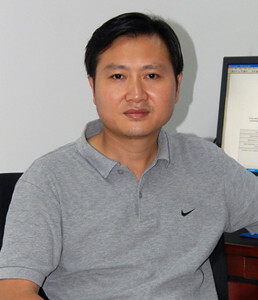 He won the First Award of Science and Technology Progress of Hunan Province in 2012, the Second Award of the 2012 Whole Army Science and Technology Progress of Hunan, the First Award of 12th Natural Science Outstanding Academic Paper in 2008 and the Award of China’s Top Ten Outstanding Young Dermatologists of 2008. He now focuses on the study of pathogenesis and treatment of autoimmune diseases like Scleroderma, allergic diseases and destructive skin diseases.